We had great week in Austria, taking day trips to Ljubljana and Bratislava, and then bringing in the new year in Graz, with Alastair. 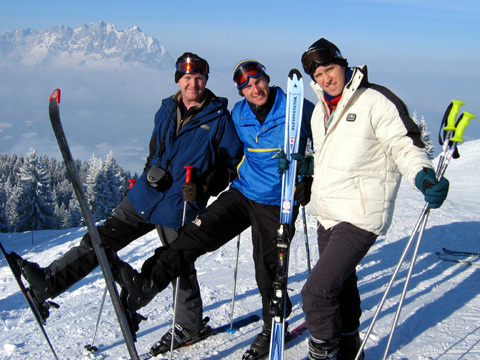 The three of us then headed to Western Austria to ski! Chris and I took the train into Germany to hunt down our long lost classmates from 20 years ago!